We've seen lots of photos of the Mt. Hood lookout, but here are the Crag Rats at the Mt. 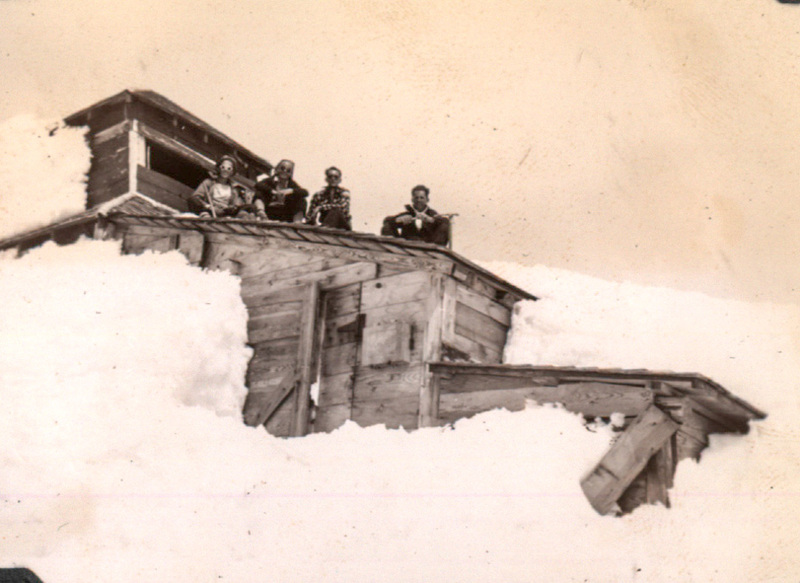 Adams lookout on July 7, 1940. They are identified as Jr. Coffey, Bob and George Sheppard, and Frank Matya? Would that be J.B. Coffey? I can remember him from the late 50s. He had lost an eye and I was told he was present at the bombing of Pearl Harbor. Jay B. Coffey was the son of Charles E. and Cynthia Coffey of Hood River. His wife was Colleen Barcley. I don't think Coffey and Matya were Crag Rats, probably friends who make the climb. Bob and George Sheppard were brothers, living on Dethman Ridge in Pine Grove. I was looking for some information for yesterday's photo and came across this Mt Hood 1947 climbing incident involving the Sheppards. Small Groups of Crag Rats In Slide"
Wasn’t Jay B. the mayor of Hood River at one time?